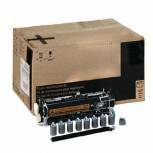 HP Brown Box Laserjet 8100 Maintenance Kit C3915A Pack of 1 HP C3915A maintenance kit for use with LaserJet 8100. 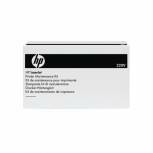 HP Laserjet 4250/4350 Maintenance Kit Q5422A Pack of 1 HP Maintenance kit. Ensures prints that are sharp and crisp. Renews worn or damaged parts. Includes fuser assembly, transfer roller and feed rollers. Easy to install. Designed for user replacement. For use with LaserJet 4250/4350. OEM: 66258. 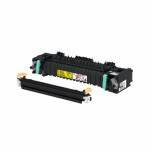 HP Maintenance/Upgrade Kit For Laser Jet 9000 C9153A Pack of 1 HP LaserJet 5100 Maintenance Kit 220V - OEM Ref - C9153A. OEM: C9153A. 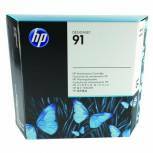 HP 91 Maintenance Cartridge C9518A Pack of 1 HP 91 maintenance cartridge. Easy to install. Helps clean printheads to avoid clogs. Stores waste ink for effective disposal. 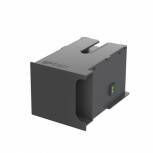 Fits Designjet Z6100 and Z6100ps (1067mm and 1524mm models). OEM: C9518A. 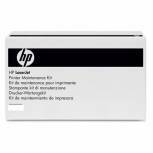 Hewlett Packard LaserJet 5100 Maintenance Kit Q1860-67903 Pack of 1 HP Q1860-67903 maintenance kit for use with LaserJet 5100. Hewlett Packard Colour LaserJet 4200 Maintenance Kit Q2430A Pack of 1 HP Q2430A maintenance kit for use with LaserJet 4200. 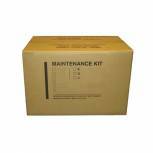 Xerox Phaser 4500 Maintenance Kit 108R00601 Pack of 1 Xerox Maintenance kit for 4500 printers. Maintains high print quality and reliable operation. Contains new fuser and transfer roller. Print yield: 20,000 pages. 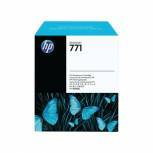 HP 771 Designjet Maintenance Cartridge CH644A Pack of 1 HP 771 DesignJet Maintenance Cartridge. OEM: CH644A. OEM: CH644A. HP 761 Designjet Maintenance Cartridge CH649A Pack of 1 HP 761 DesignJet Maintenance Cartridge. OEM:CH649A. 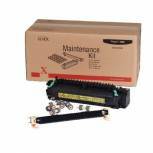 Xerox Black Phaser 4600/4620 Maintenance Kit 115R00070 Pack of 1 Xerox Maintenance kit. Maintains high print quality and reliable operation. Keeps print assemblies clean and oiled. Designed for Phaser 4600 and 4620. 220V model for UK power supplies. Print yield: 150,000 pages. 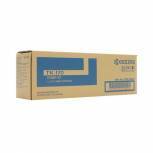 Epson WP4000/4500 Maintenance Box C13T671000 Pack of 1 Epson Maintenance Kit. For use in WP4000/4500 machines. Page Yield - up to 50,000 pages. OEM Ref - C13T671000. Kores HP Brown Box 4250 Maintenance Kit Q5422A-BB Q5422A Pack of 1 Kores HP Maintenance kit. Easy to use with fantastic results. Ensures that prints are sharp and clear. Includes fuser assembly, transfer roller and feed rollers. For use with LaserJet 4250. Kores HP Compatible 4200 Maintenance Kit Q2430A-BB Pack of 1 Kores Maintenance kit. Easy to use with fantastic results. Ensures that prints are sharp and clear. Includes fuser assembly, transfer roller and feed rollers. Compatible kit for the HP LaserJet 4200. Xerox Colorqube 8570/8870 Maintenance Kit 109R00784 Pack of 1 Xerox Maintenance kit. Maintains high print quality and reliable operation. Keeps print assemblies clean and oiled. Fits ColorQube 8570 and 8870 printers. Print yield: 10,000 pages. 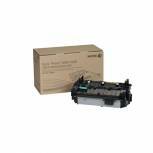 Kyocera FS-2100D/2100Dn Maintenance Kit 1702MS8NL0 Pack of 1 Kyocera Maintenance kit. Easy to use with fantastic results. Ensures that prints are sharp and clear. Helps prevent paper jams. Original kit for the Kyocera 2100D/2100DN. Print yield: 300,000 pages. Kyocera MK-3130 Maintenance Kit For FS-4100Dn/4200Dn/4300Dn 1702MT8NL0 Pack of 1 Kyocera Maintenance kit. Easy to use with fantastic results. Ensures that prints are sharp and clear. Original kit for the Kyocera 4100DN/4200DN/4300DN. Print yield: 500,000 pages. Kyocera MK170 maintenance kit MK-170 Pack of 1 Kyocera Maintenance Kit. For use in FS-1320D/1370DN printers. OEM: 1702LZ8NL0.